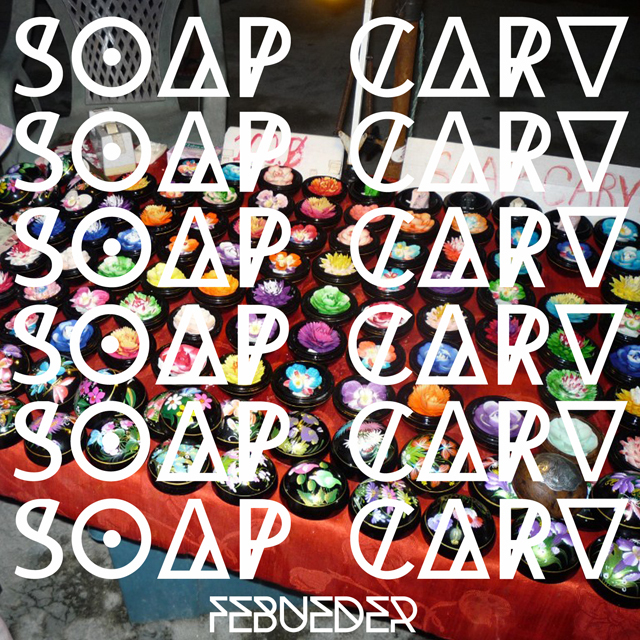 With their forthcoming debut EP, ‘Soap Carv’, set for release on 25 November, Ascot experimental / indie rock trio Febueder have released a video for the EP’s lead track “Alligator” which you can watch below. Exhibiting post-punk-esque peculiarity, “Alligator” is an unusual yet surprisingly melodic and massively catchy tune. “Alligator” calls to mind Animal Collective (think “Fireworks”) as well as Foals circa ‘Holy Fire’, particularly during the chorus. Characterised and driven by an angular and funky bass line, “Alligator” travels along with a mid-paced groove taking the listener on a winding journey through its odd arrangement. With only drums, bass and a single guitar playing counter-rhythms as the song’s sole instruments, then add an atmospheric vocal loop which lays underneath the track and acts as an instrument of sorts. Just when you thought you had a handle on it, for the song’s final 40 seconds, the trio of Kieran Godfrey, Harry Summersgill and Samuel Keysell, orchestrate another off-kilter turn with yet more angular riffing. The EP ‘Soap Carv’ featuring “Alligator” will be released on 25 November, 2013 on Tape Club Records.